Out of all classes, sophomores hold the slight majority on softball’s 20-player roster. These second-year student-athletes play an important role on a balanced team, holding Louisville’s key to young talent and future potential. Danielle Watson is one of the seven sophomores and looks to rebound from a fantastic freshman year. 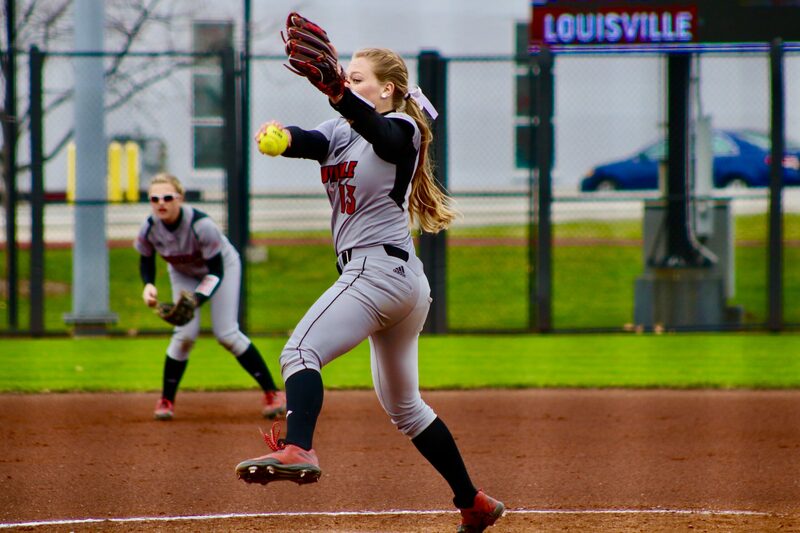 The right-hander pitched her way to 14 wins in 2018, second most on the team, with a 3.13 ERA and 105 strikeouts. Expect Watson to continue improving as the year progresses. She started the season with a one-hit win at the Titan Classic season opening tournament in California. Paige Schindler joins Watson in the bullpen after four appearances on the mound as a freshman. She brings experience from Borden High School in Indiana, where she won a state championship in 2016, and improved during fall ball to arrive ready to go for 2019. Behind the pitchers at first base is the constant Kyra Snyder. She played in all 52 games last season, with 51 starts as either first baseman and also pitcher. The Californian batted .291 with five doubles and posted 18 strikeouts on the mound. Maddy Newman starts at second base next to Snyder after earning a selection to the ACC All-Freshmen Team in 2018. Newman bats as a lefty, like Snyder, and finished last season with a solid .315 batting average, 22 runs and eight steals. With experience fitting in at different parts of the field, coach Aprile says players like Newman and Snyder are valuable. Also playing the infield is Madison Ciaccio. The first baseman played in 19 games last season with eight starts and looks to vie for playing time with Snyder. Moving to the outfield, the Cardinals lost a key starter from last season in Nicole Pufahl. Sophomores Jordyn Wolfe and Riley Schindler will both compete for playing time alongside junior Celene Funke and incoming freshmen. Wolfe played in 27 games with 11 starts in 2018. Riley Schindler, twin to pitcher Paige, played in 17 games last season and slammed a pinch-hit home run in her first appearance at bat.